Special customised 2-layer Pure Ice Cream Cake, bottom comes with 5" Pure Round ice cream cake & upper comes with 3" pure round ice cream cake. Both layers are 100% FULL Ice Cream without chiffon cake. We are using fruits to do the decoration: Strawberry, Blueberry & Raspberry. Order is recommended to place minimum 3 working days prior in advance to delivery. 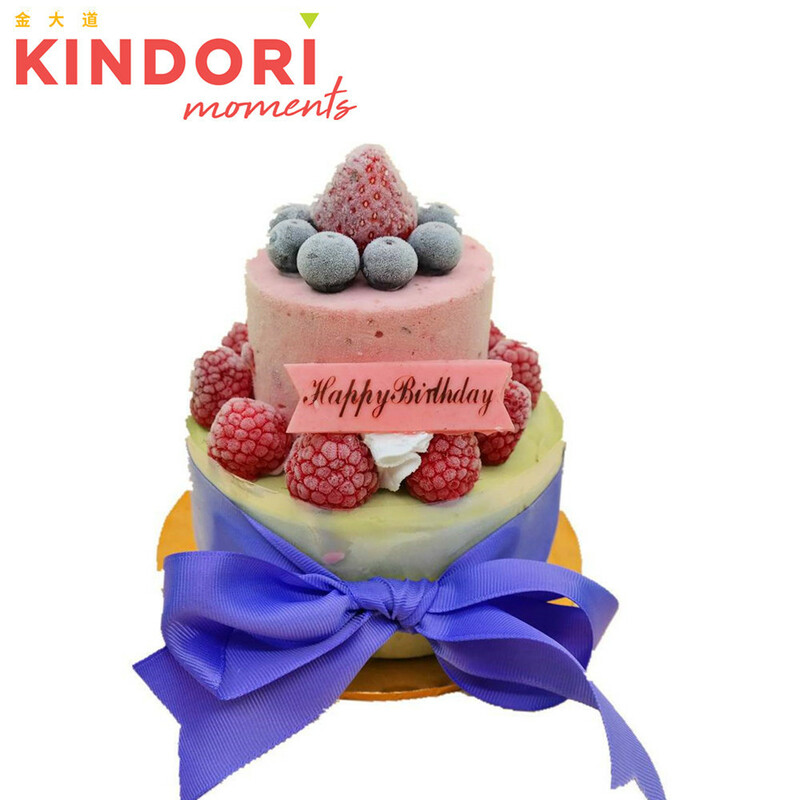 Special custom made 2-layer Pure Ice Cream Cake - bottom is 5" round shape + upper is 3" Round shape.